Jesse approaches counselling from a collaborative, empathic and supportive, client-centered basis, using a holistic biopsychosocial spiritual model. Jesse believes in creating trusting, open, non-judgemental relationships in which clients can work towards mental, emotional, and spiritual health. Jesse has successfully worked with individuals, couples, and families experiencing issues that include: infidelity, relationship issues, separation and divorce, communication difficulties, domestic violence, sexual trauma, grief & loss, anxiety, depression, PTSD, suicide, anger management, addictions, and concurrent mental health disorders. Jesse has training in Observed & Experiential Integration (OEI), Satir Family Therapy, Emotionally Focused Couples Therapy, and Gottman’s Couples Therapy. 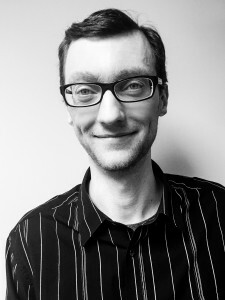 Jesse is a Registered Clinical Counsellor (#12014) with the British Columbia Association of Clinical Counselors. He holds a Masters of Counselling in Marriage and Family Therapy from Trinity Western University. Jesse is also an Associate with Northern Star Tri-Cities Counselling, Inc. Send a message with any questions or to book your first session.